These are my wonky, quirky Artist Trading Cards for Valentine’s Day. Handmade felt with beads. Categories: Blog | Tags: ATC, Beading, handmade felt, Merry Christmas!, Mixed Media, Valentines | Permalink. Here is the wonderful collection of paperwhimsy ornaments by students Lisa, Ellen, Kare. Trudi, Carolyn, Sharon and Mary Kay from our Artistic Artifacts class. 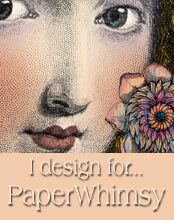 Categories: Blog | Tags: artistic artifacts, Mixed Media, ornaments, paperwhimsy | Permalink. Dream layers are embroidery, collage and mixed media all in one. Thanks to Sharon (misty fuse fun) and the other lovely folks at Artistic Artifacts for a great workshop day. I provided the materials for the DREAM LAYERS class. Everyone worked hard all day and I’m impressed with the progress everyone made in one sitting. I can’t wait to see them all completed. The next class I’ll be teaching in Alexandria, VA will be on Nov 24 and is titled Mixed Media Ornaments. Find out the details HERE. Categories: Blog | Tags: art, artistic artifacts, collage, dream layers, embroidery, fun, Mixed Media | Permalink. Categories: Blog | Tags: artistic artifact, Halloween ATC's, Mixed Media | Permalink. Now that I’ve made approximately 100 sheets of paper silk I’m working on ways to use them. One is mixed media collage using a combination of silk paper sheets, paper and vintage silk flowers. I’ve also cut some up for ATC’s (Artist Trading Cards) and used some small sections on greeting cards. As I make and dry the sheets I’ve noticed how nice certain colors look against other colors. It’s inspiring some interesting combinations. Categories: Blog | Tags: collage, Mixed Media, silk paper, silk roving | Permalink.